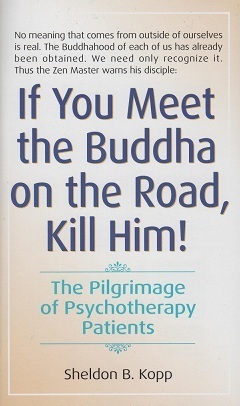 The highly disturbing title of the book got my attention few years ago. I added the book to my "want to read" books long time ago, but still I wasn't really sure about reading it. 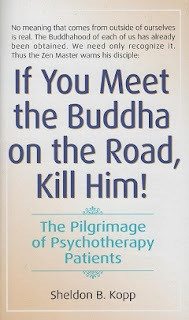 When it started to come back as a reference on some books and articles, I just had to go and read: If you meet Buddha on the Road, Kill Him! Book was written already at 1974 by Sheldon Kopp. Sheldon was a psychotherapist in US and had been working with variety of patients. He reveals quite much about himself in the book and that made the book more human and bit easier to grasp. Overall the book was strange in a good way. Once in a while Sheldon Kopp tells ages old stories with a learning's and then he jumps back to quite instructive and sometimes disturbing stories about the patients he have met. He does get his message through via all of this. The whole message of the book is: the solution to most of the problems are within oneself. There are no guides, no people or no ideologies that in itself can guide one to happiness, good life or just out of the troubling things in one's mind. The book raised lot's of thoughts and ideas. For a long time this was a book I made most notes from. It's not by any means an easy one to read, but it is important. It's not easy and fun like many self-help books, but I believe that's the reason it's so powerful. I really enjoyed the book and recommend to the people who want to learn to understand themselves better. It's not easy, but well worth the trying. I've been a google fan for a long time. 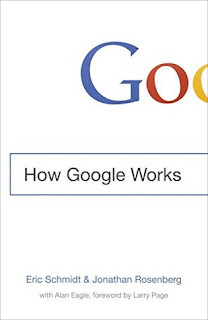 I've read some books earlier about how they work, but when I heard that Eric Schmidt and Jonathan Rosenberg have been giving their name and content to the book How Google Works, I had to read it. Book takes a broad view on how the work is been done at Google. In many times it does spent time on talking about values, but ideas of the values are then clarified with concrete examples. Overall the book is comprehensive view to Google as their high management sees it. Book is structured quite nicely. It starts with culture, goes through strategy, talent handling, decision making, communication, innovation and then finishes with the moonshot ideology. Other that the just the high level themes there are concrete ways of working for each section. I found the book interesting and important. Everyone in the product development industry would benefit of reading it. Every company can't work like google, they do have special possibilities due to such a strong position in the web, but still there's lot to learn to many companies. I highly recommend this book to everyone interested on making companies better.